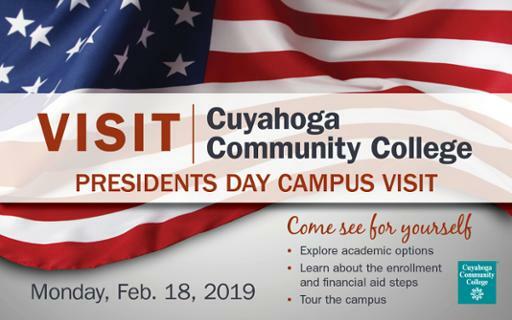 Cuyahoga Community College (Tri-C®) will host a visitation day for prospective students on Presidents Day — Monday, Feb. 18 — at its four campuses plus the Brunswick University Center and the Hospitality Management Center. This free event is open to the public, with free parking available. For more information, or to register, visit www.tri-c.edu/visit or call 216-987-6000.